The thoughtfully priced Canyon Lake Series features 18 attractive single wide and multi-sectional models ranging in size from just over 375 square feet to around 1,650 square feet. These small to medium-sized manufactured homes come in nearly every bedroom to bathroom configuration with prices starting at $21,900. 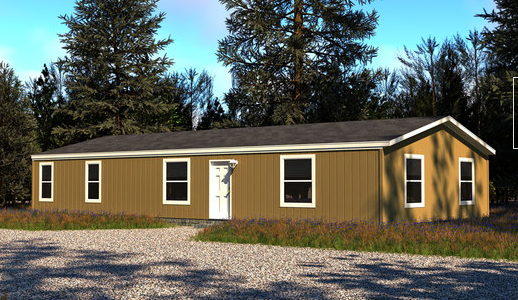 This series is designed for the homebuyer seeking a high quality yet affordable manufactured home. 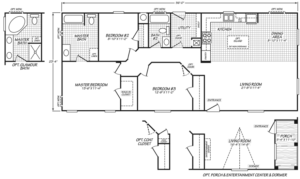 All Canyon Lake models come equipped with an impressive array of contemporary standard amenities such as nationally recognized brand name appliances, factory crafted cabinets and modern fixtures. As an added benefit and for peace of mind, Low-E Dual Glazed Windows and 1 Year Manufacturer’s Warranty are also standard. Please visit our factory located model village to learn more.